The holiday season is a great time to build meaningful connections and find new ways to communicate. This year, we’d love to help the hearing population learn to spread a little Holiday Cheer to their deaf friends, family members, customers, or just complete strangers! Sign language is fun for the whole family to learn— children especially love exploring this 3D language. Practicing ASL together can be a fun activity during holiday breaks or gatherings; and when you take it out in the world, is the gift that keeps on giving. Now go make someone smile! Happy Holidays and best wishes for an incredible 2018 from the LC Interpreting Services family to yours. The holiday season is a time for family and friends. It is a time to bring joy to the people you know, and spread cheer to the strangers you meet. There are an estimated half million people in the United States who use American Sign Language as their primary form of communication. This year, let’s work on bridging the communication gap between the deaf and hearing worlds! Learning even a few holiday signs can bring a smile to a deaf individual’s face. 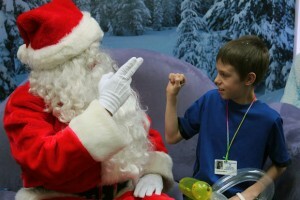 A mall Santa who uses ASL can make a deaf child light up with happiness. 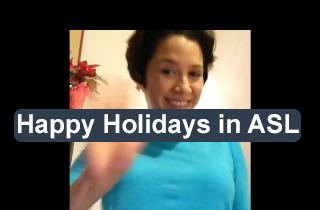 Your deaf customers are sure to appreciate it when you wish them a happy holiday in their own language. 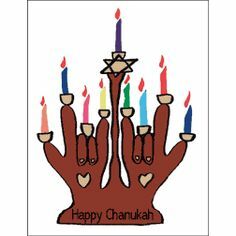 Whatever you believe in, and whatever culture you are from, I hope your holiday season is filled with love and light! If you’re interested in American Sign Language training, LCIS is thrilled to offer an END-OF-YEAR SPECIAL! Get three (3) personal ASL lessons for only $150! These one-on-one sessions are custom tailored to match your skills and goals, and can be scheduled at a time that is convenient for you. Meet in person in NYC, or remotely via video chat. Discover the beautiful silent world of ASL while learning about Deaf culture in America. Don’t wait to buy! This low price is only available through 1/1/2015.